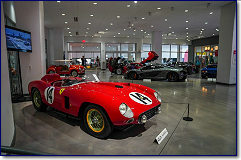 2018 Auctions in Galleries ... sorted by estimate and year ... search for model, make ... etc. Which cars have sold in 2018 and for what price ... and which haven't ? 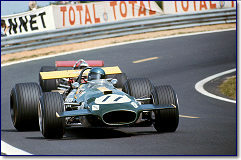 Ferrari and Formula 1, few terms are linked more than the famous Scuderia and the top category of open wheel racing. Although now waiting for more than a decade to bring back a title to Maranello the Scuderia Ferrari is still the most successful team in the History of F1 and Ferrari is the only team to run every season since the series was introduced in 1950. 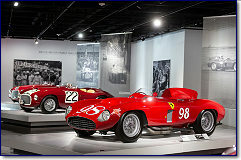 Being the team principle of the Scuderia Ferrari that ran the works entries for Alfa Romeo in the 1930s Enzo Ferrari early on saw the importance of the GP series aside the sports car world championship to position his marque as the leading sport car manufacturer that it should become over the next decades. 2018 proved to be an outstanding year for RM Sotheby�s despite the subdued conditions in the collector car market,� says Kenneth Ahn, President, RM Sotheby�s. 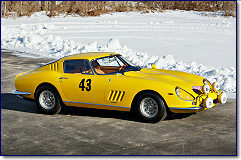 �RM Sotheby�s maintained market leadership as the largest collector car auction house by total sales and saw strong activity in the high end of the market, as we sold 68 collector cars for over $1 million each, for a combined value of more than $222 million (approx. 52 percent of our total sales); we also maintained our position as number one auction house in $1 million+ cars by both total sales and the number of cars sold. Bonhams final motor car sales of the 2018 were held in London at the beginning of December and realised £8.5M. The results brought a satisfying conclusion to a record-breaking year. 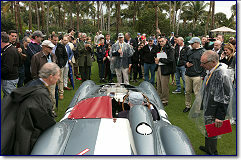 Bonhams has held 18 motor car sales and five motorcycle sales this year in no fewer than six countries. 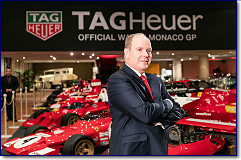 World auction records were achieved for both marques and models throughout the year. Eight stunning �Best of Show� winners from top concours around the world have been revealed as nominees for the coveted The Peninsula Classics Best of the Best Award. The cars in contention for the 2018 award will now be carefully reviewed by 26 respected judges, all of whom are leaders in their fields of expertise. 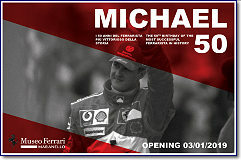 The Ferrari Museum is dedicating a special exhibition to Michael Schumacher, which will open on the occasion of his 50th birthday on 3 January 2019. 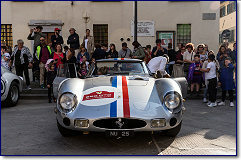 It is intended both as a celebration and a mark of gratitude to the most successful Prancing Horse driver ever. 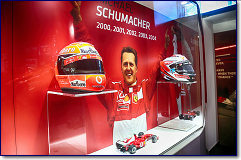 Schumacher has a special place in Ferrari�s history, which has been marked by his many records. Between 1996 and 2006 the German champion won five consecutive Drivers� titles, from 2000 to 2004, and made a major contribution to the Scuderia�s haul of six Manufacturers� titles over those years. An extremely rare 1987 Ferrari F40 LM leads the Italian marque entries. Upon entering production, the Ferrari F40 was already the fastest road car of its time, but the �Le Mans� version took the model to new extremes � affording the car more aggressive bodywork, more extreme front and rear wings, larger disc brakes and calipers, revised suspension, a race-spec gearbox and a stripped-out interior with a futuristic digital dashboard. Chassis no. 74045 was originally used as a prototype car while the F40 was designed. Bonhams is delighted to announced that a very special vintage Ferrari has been consigned to its renowned annual sale next month. The 1954 Ferrari 500 Mondial Pinin Farina Spyder s/n 0438MD that was owned, raced and/or admired by four figures central to popular culture, motoring history and California heritage will be featured at the January 17th collectors� car auction in Scottsdale, Arizona. TFans and representatives of Scuderia Ferrari Clubs from all over Europe are flocking to the Ferrari Museum today for the opening of the �Michael 50� exhibition on the occasion of the champion's 50th birthday. Maranello has put together a special exhibition telling the story of Michael Schumacher's extraordinary record-breaking F1 career: the German champion won an as yet unequalled seven world titles, 91 victories, and 155 podiums. RM Sotheby�s is thrilled to release the complete catalogue for the company�s first sale of 2019�Arizona. 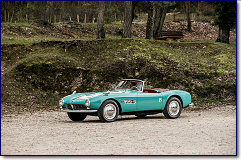 With the catalogue, which features 158 motor cars, a selection of automobilia, one motorcycle, and one trailer, RM Sotheby�s has announced final, headline entries for the auction, which are led by an incredibly rare and fascinating 1957 Ferrari 250 GT Coupe Speciale by Pinin Farina, alongside the ultimate Ferrari road car of this century�a 2017 LaFerrari Aperta. The annual Autosport International Racing Car Show, in conjunction with the Performance & Tuning Car Show, was held at Birmingham�s National Exhibition Centre between 11 � 13 January. The show filled five halls of the venue spread in a U-shape around the north concourse, with a further hall occupying the Live aaction Arena. The main show covered virtually every facet of the many genres of motor sport, whilst the Performance & Tuning Car Show in Hall 4 catered mainly for those for whom the standard product needs personalisation or modification to satisfy their needs. 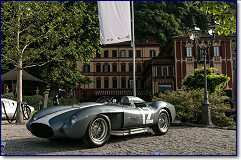 The exquisite 1952 Maserati A6G 2000 Frua Spider, the sole surviving example, was the star of the auction. 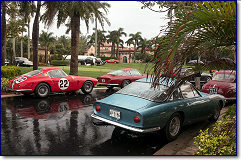 Expertly researched, documented and restored, it was a participant in the world�s two most prestigious concours d�elegance � Pebble Beach and Villa d�Este. 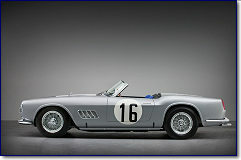 Not surprisingly, bidding � in both the room and on the telephones � was brisk and the breathtaking sportscar sold for $2.755-million, setting a new world auction record for the model. On a weekend that brought in crowds of aficionados, Ferraris dominated the top of the market days with several sales in the top ten coming from the marque, including the 1963 Ferrari 250 GT SWB Berlinetta which sold for an astonishing $7,595,000, the 1958 Ferrari 250 GT Tour de France selling for $5,890,000, the 1953 Ferrari 250 MM Spider Series II selling for a world-record $5,395,000, the 1984 Ferrari 288 GTO selling for $2,507,500, the 1952 Ferrari 212 Europa Cabriolet for $1,930,000, and the 1963 Ferrari 250 GT Lusso which sold for $1,902,500. 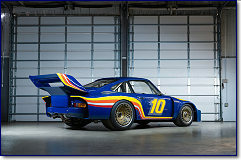 RM Sotheby�s kicked off its 2019 auction calendar this past week with the company�s 20th annual Arizona sale, 17-18 January at the Arizona Biltmore in Phoenix. 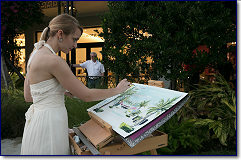 The two-evening auction totaled $37 million in sales, with 85 percent of all lots finding new homes. The top sale of the week was a fresh-to-market, 2,900-mile 1985 Ferrari 288 GTO, which drew enthusiastic bidding from several parties on Thursday night before selling for a final $3,360,000 (est. $3.2/3.6m). The 1987 Ferrari F40 LM was the undoubted star lot of the sale and represented a very rare opportunity to acquire one of Maranello�s legendary sports racing cars of the modern era. 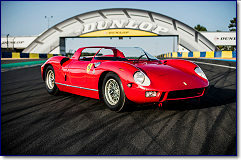 The car offered is a unique piece of Ferrari history as it not only boasts a significant and successful competition history, but it also played an important development role as a pre-production prototype. As a result, pre-sale interest in the car was very strong and intense bidding in the room and over the phones saw the car achieve €4,842,500 to set a new world record for the model. Artcurial Motorcars once again dominated the annual week of collectors� car sales in Paris with the auction Re?tromobile 2019 by Artcurial Motorcars. Taking place over three days from 8 � 10 February, the sale realised € 42,304,574 / $47,804,169 up 31 % on the previous year, with 10 new auction record prices. 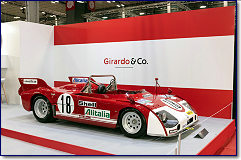 Every year early in February the �City of Love� becomes the �City of Classic Cars�, when the annual Retromobile opens its doors for 5 days at the Parc d´Exposition at the Porte de Versailles. Early in the season the famous indoor trade show in Paris sets the signal for the market with no fewer than 3 major auction companies accompanying the show starting the busy sales calendar on this side of the Atlantic after the Scottsdale sales earlier in January.